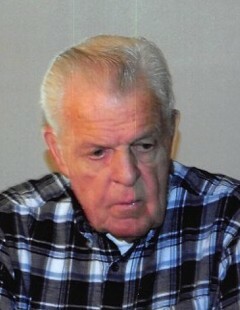 John“Jack” McCarthy age 87 of Oakdale on October 27, 2018. Proud U.S. Marine Veteran, former NYPD and retired FDNY. Beloved husband of Marilyn for 60 years. Loving father of Joseph (Cathy), John, Kevin (Susan) and Robert (Tami). Adored grandfather of Ryan, Erin, Shannon, Conor, Kevin Jr., Andrew, Kimberly, Jack and Tyler. Loving greatgrandfather of Heather Weller. Visitation Tuesday 2-4:30 and 7-9:00 P.M. at Raynor & D’Andrea funeral home 245 Montauk Hwy West Sayville, NY 11796. Funeral Mass Wednesday 11:00 a.m. at St. John Nepomucene RC Church in Bohemia. Interment to follow at St. Charles cemetery in Farmingdale. In lieu of flowers the family requests donations be made to the NYFD Burn Center or St. Jude Children’s Hospital in loving memory of Jack.